AMD has made three announcements at CES 2010, with the headline grabber the arrival of the ATI Moility Radeon cards that will bring DirectX 11 gaming to many laptops. 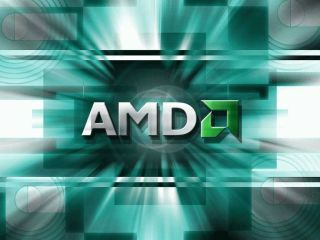 Along with the annoucement of Samsung thin-bezel displays designed for the AMD Eyefinity technology which allows multiple monitors from a single graphics card, AMD also announced that it has shipped its two millionth DirectX 11 graphics card. But perhaps most importantly the firm announced that its mobile version of the ATI mobility Radeon range, bringing DirectX 11 support to portable computing. The entire family of DirectX 11-capable graphics consists of ATI Mobility Radeon HD 5800, ATI Mobility Radeon HD 5700, ATI Mobility Radeon HD 5600 and ATI Mobility Radeon HD 5400 series graphics. "Six months ago AMD claimed the title of undisputed technology leader in desktop graphics, and now we also offer powerful mobile graphics processors for notebooks to go with our market leadership in that segment," said Rick Bergman, senior vice president and general manager, Products Group, AMD. "Once again, AMD changes the game both in terms of performance and experience. AMD innovations now give notebook users full DirectX 11 support, eye-opening ATI Eyefinity technology, superb HD." The first laptops to feature the new ATI Mobility cards are expected to surface by the mid-point of 2010. "The next-generation family of DirectX 11-capable ATI Mobility Radeon HD 5000 series graphics represents a powerful upgrade for OEMs to existing and upcoming 2009 AMD Mainstream and 2nd Generation Ultrathin notebook platforms, as well as next-generation 'Danube' mainstream and 'Nile' ultrathin notebook platforms scheduled to launch in the first half of 2010," adds AMD. The new monitors designed for Eyefinity are likely to be available in 'early 2010′ with less borders on the panel allowing for less gaps between multiple monitors runinng on Eyefinity cards. "Samsung's new MD230 displays feature bezels that are 50% to 70% thinner than traditional displays, making for a more seamless ATI Eyefinity experience," adds AMD. "The new displays are expected to be available in early 2010 from Samsung reseller and distribution channels starting at an MSRP of $3,099 for a six-screen configuration and $1,899 for a three-screen configuration." We haven't yet got UK prices yet but that roughly translates as £1800 for six monitors and £1200 for three.